More family secrets were revealed in this week’s episode of This Is Us, so let’s dive right in! Rebecca shows up to Randall’s house and he tells her that he found his birth father. Rebecca asks for a moment with the man and we find out that years ago, she visited William and they made some sort of agreement to keep him away from Randall. In that moment, Rebecca protects Randall in a way that only mothers can. She lets William know that her son’s heart of gold is what will cause him to want to do everything for his ailing biological father, and he better be sure not to hurt Randall along the way. Then we find Kate, picking up her boyfriend’s pieces after a night of drinking. Her brother pops up and is firm on his decision to move to New York City. Unbeknownst to Kate, she’s going too. Kevin has decided that in order to succeed, he needs his twin sister by his side — no questions asked. In flashbacks, Rebecca and Jack take their three babies home. It is beyond overwhelming and Rebecca is having a hard time bonding with Randall, who — at this point — is still named Kyle. Rebecca keeps associating her deceased son with Randall and she needs to fully grieve his death before she can move on and parent Randall. It is in these flashbacks that we see a solo Jack take the triplets to their doctor’s appointment. There, Jack confides in the doctor that Rebecca is broken and he isn’t sure how to fix her. Our favorite doctor tells Jack to let her be and get to the space she needs. When then see Rebecca who is catching the local bus to find William. She meets him at his apartment to hear more of his story. Ultimately, she tells him that he should never contact Randall. 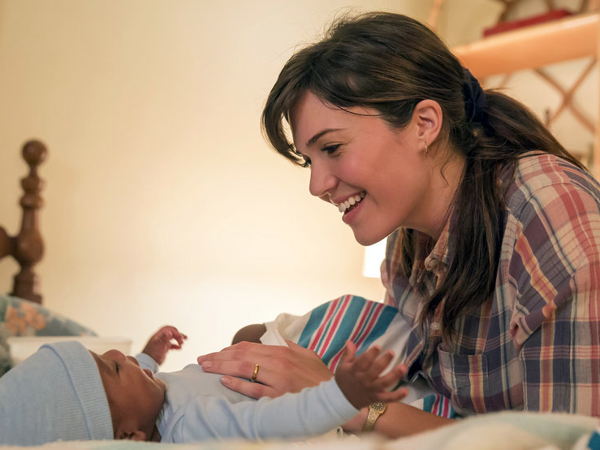 Rebecca then surprisingly and emotionally confides in William that she is not bonding with the baby, and William suggests a new name for her son. They agree to name him after William’s favorite poet — whom William used to read to Randall’s mom. In the present-day, Toby is trying to woo Kate but — most importantly — get her to see the amazing woman she is and own it. He hears her singing in the bathroom and, from there, plans a surprise date for her to… a nursing home. She performs in front of everyone and is as free as we have ever seen her. It is a huge moment for Kate. She is her own strong and talented woman, apart from Kevin. Toby thinks things are going well — and they are. That is, until Kevin calls. Kevin needs Kate in a way that is different than the way anyone will ever need her. She tries to explain this to Toby but ultimately lets him know that there is no competition between the two men. She will always choose her brother first. When Kate finds Kevin, he listens to the story of her day and how she left Toby to run back to him. And then, he fires her. He knows that Kate needs her own life — she needs to thrive and shine and really get her wings apart from him. Kevin needs that too. He relies on Kate for everything and he needs to tackle New York City by himself. They have spent so much of their lives being twins, that they never really developed their own identities. Over at Randall and Beth’s, the two still aren’t on the same page about what to tell people regarding William. Randall is having a hard time with accepting that William is incurable and will likely die soon. He wanted more time with his biological father. And I am sure that he will be devastated if he finds out that Rebecca pushed William away and lied to him about knowing who and where he was. Beth tries to get him to focus on the time he does have with William, instead of the lost years. Meanwhile, Kate calls Toby over to apologize and realizes that it is the best for her that she and Kevin separate for a while. Kevin is on his way to New York, and while he has read a ton of plays, he doesn’t think he is good enough to be on stage. But we know — and Kate knows — that he needs to try and succeed on his own. In the flashbacks, Rebecca tells Jack that she can’t stop thinking about the death of their son. Jack confides that he feels guilty when he thinks of him and when he stops thinking about him. Death is hard, especially in the wake of raising children. Rebecca tells her husband that they should give their adopted baby a new name to set him apart from the twins. And thus, baby Randall is reborn. Adult Randall decides that he is ready to tell his daughters about William. He asks his dad all of the questions that he has been waiting for answers to his whole life. It is beautiful to see Randall and William in that moment. You can tell William never loved again after Randall’s mom, and Randall has childlike wonderment as he hears about his parent’s romance. What did you think about the episode? Will the twins be able to find their own identities apart from one another? How will Randall and William continue to build a relationship, especially if he is dying? Will Randall find out about Rebecca’s secret?